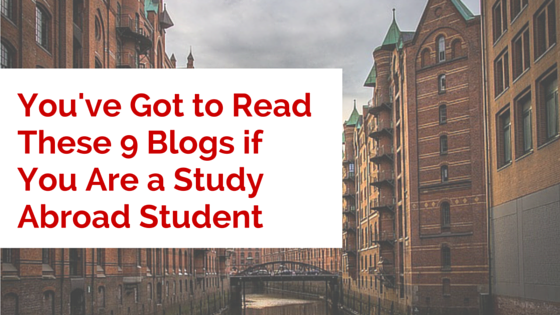 Get to see how easy studying abroad is by reading how other students did it. Sure, there is often a culture shock and some students can’t handle it, but read about the students that could with this list of nine top blogs. This blog follows the exploits of a student named Mohamed. He was studying Arabic and Spanish and went on to study Arabic in Fez, Morocco. You get to see how it went and what he got up to. It is a rather unique look into a trip few students take. There are a lot of reasons why the British or North Americans shouldn’t go to Brazil at the moment, but a young British student went over there to study. You get to see how she did and if she was ever in a place where she was in danger. Here you get a blow-by-blow account of a student’s trip to Paris. You get to see the capital city of France through the eyes of a student and see what it was like every day of the year from start to finish. You get to read about a student that studied in Japan in the Kyoto University. You rarely hear or read about students from the west going to study in Japan, so it is going to be good for you to read about somebody doing it in this blog. This follows the studies of the student that went to Peru. It is good for students that are thinking about going abroad to see what people have done in the less-traveled areas of the world. Learning from the most obscure is the best. Reading about studying in places people go all the time is not as exciting as reading about people that go to obscure or lesser traveled placed. Here you read about Alex as he studied in the University of Iceland in Reykjavik. It may sound like the title of an adult movie from the early nineties, but is actually a blog about a woman that spent a year studying in a small French town. She was attending college there. Here you get to see the life of a woman that went to the University of Vienna. She spent a year there and you get to see what it was like through her words via her blog. It is good to see things through her eyes in this blog. This is about a woman that spent a year in Australia as she was studying. She wrote about her time abroad as a student, and you can see for yourself how life may be at the other side of the planet. There are some places on this list that you do not often hear about when it comes to students studying. The content of some of these blogs may be unique in the fact that finding similar accounts is very difficult. All the blogs have something to show the student community and those that wish to study abroad.